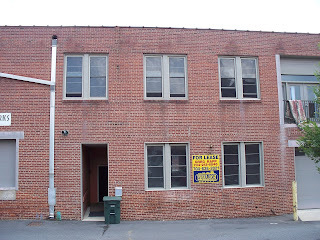 The historic Flowers Bakery Building, most currently known as East Square Artworks ~ has commercial space for lease! 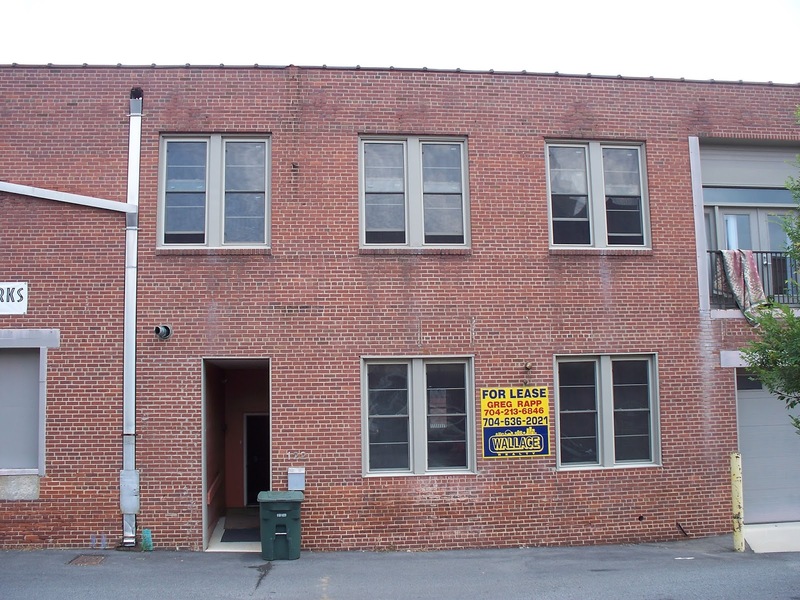 This extremely versatile and vastly open space has come available right in Downtown Salisbury ~ less than a mile from Interstate-85, just a few blocks from the Amtrak Station, and smack-dab in the center of Salisbury NC's historic downtown. 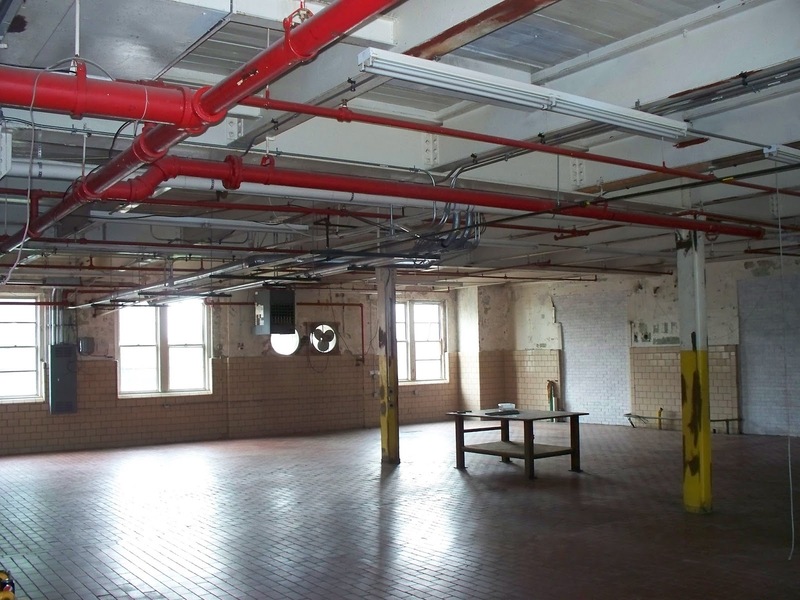 Once a bakery, the old Flowers Bakery, and most recently a large-scale metal artist's sculpture fabrication shop, this approximately +/- 4500 square foot space can be adapted to nearly anything that you might be able to envision! Contact Greg Rapp ~ 704.213.6846 ~ to lease the workshop of your dreams!!! 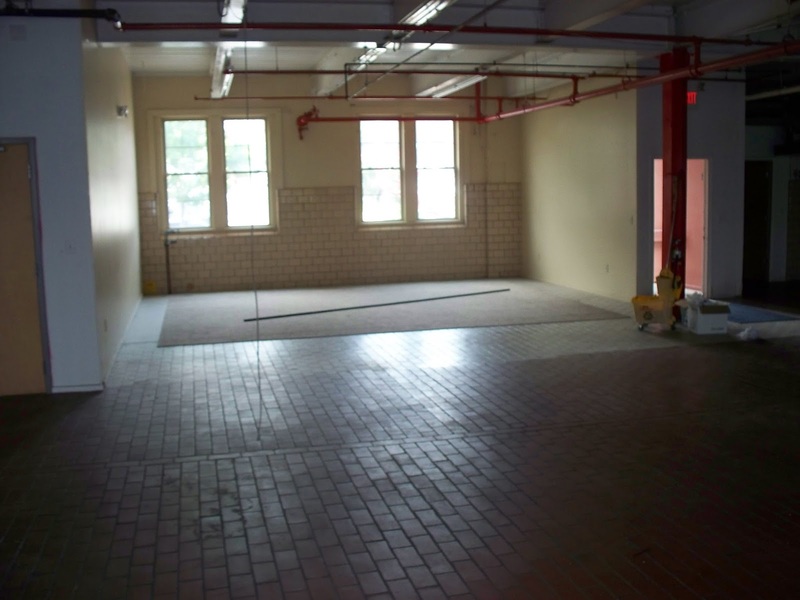 This fabulous workspace or commercial space can be yours for the lease of $2,500/month ($6.00/square foot) for the entire space . . . OR . . . the owner will consider subdividing the space. The space has great parking out front, garage door entry, and a small loading elevator (truck-height, with elevator to floor level). The rear of the building has driveway access and a personnel door. And did we mention it is right downtown? Perfect! 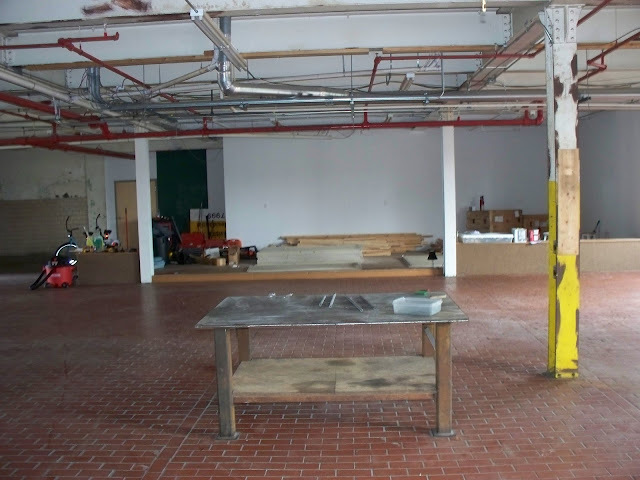 The floors and walls of the first floor open shop space are brick, and the area has high ceilings with exposed utility piping. The second story of the Flowers Bakery Building, as it was once known as, is owner-occupied residential loft space. The property, built in the 1930's, is considered historic and therefore resides under protective covenants and restrictions. The building was a featured property in the Historic Salisbury Foundation's Annual October Tour of Historic Homes just a few years ago. Seize this rare opportunity to have the workshop of your dreams in this large and super~conveniently located space! Call Greg Rapp at 704.213.6846 to check out the nearly limitless possibilities this very open space offers, in a downtown setting where the activity is brimming, and visibility is premium. Let Greg show you this awesome space at 122-B East Innes Street, Salisbury NC today!